The recent celebration of Thanksgiving that occurred in the USA on November 27th gave the area of the Mississippi Delta another excuse to do what it does best and get creative with its culinary skills. In the run up to the festive season it seems that good food and dining play a big part in southern culture all year round, with fresh seafood on its doorstep and the unique French – Cajun delicacies all being found on local menus. Food is something greatly associated with the USA in general but in a recent report featured on the MHRA (Mississippi Hospitality and Restaurant Association) website and in the New York publication ‘Reuters Life!’ things are also changing in the way that the USA ‘do’ food. With the old slogan “big is best” being put to one side in favour of the meze or tapas style of eating being adopted by many restaurants it seems that the little things are making the biggest difference. Chef John Kinsella, president of the American Culinary Federation and senior chef instructor at Midwest Culinary Institute in Cincinnati says: "The trend of small plates is definitely hot, including offering tasting menus of small portions of food, wine or other alcohol beverages. The trend I have seen as the fastest growing of 2008 is the alternative-source ingredients — local produce, organics, sustainable seafood, grass-fed and free-range items." Chef John Kinsella’s comments echo that of our very own Jamie Oliver who has just returned from New Orleans following a whistle stop tour of some of the areas most prolific restaurants including Café Du Monde, an original French Market coffee stand that is over 100 years old. A recent post on Jamie Oliver’s website says: “I had a chance to meet Jamie at Cafe Du Monde in New Orleans while he was filming a new show for British TV. The Jamie Oliver team can reveal that filming was being undertaken for Channel 4 but have no further information to release at this time. Whether it is Brad Pitt and his ongoing support of the regeneration of the GO Zone, the area that was directly affected by hurricanes Rita and Katrina or Jamie Oliver, our very own national treasure, drawing our attention to the area, it is good to see that interest in a region still recovering from the hurricanes that caused so much damage has not waned. For more information on the Go Zone and how you can invest in this area please contact Property Direct America on 0207 043 0792 or visit www.propertydirectamerica.com. The old adage ‘an Englishman’s home is his castle’ is not just country-specific, with the home in all cultures typically being a place of security and refuge but also something to be proud of and even a representation of who we are as people. 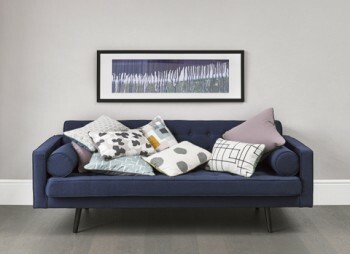 Outwardly, we employ all manner of different techniques to make our homes look the very best – wallpaper, paint techniques, stencilling, unusual furniture and furnishings for example – but underneath this bold exterior, the question remains: how healthy is your home? This is clearly a question that is important to many homeowners, with programmes like Channel 4’s ‘How Clean is Your House?’ making stars of presenters Kim and Aggie and in turn raising awareness of the issue of the healthiness of houses. Through such popular programmes it has come to be realised that a home needs to be not just outwardly beautiful, it has to be healthy too, and certainly not have a negative effect on occupants’ health. With illnesses such as eczema and asthma being linked to environmental factors such as dust, detergents and mold, it is important to dig beneath the surface of a house to eliminate any potential factors that could be contributing to household illnesses and to try and make the home once again the bastion of wellbeing that it once was. This is an issue that has become very relevant in the southern state of Mississippi in the USA. Following hurricanes Katrina and Rita in 2005 which brought devastation to many parts of this region, especially along coastal stretches, the government body FEMA (Federal Emergency Management Agency) issued around 100,000 trailers to people displaced from their homes in the aftermath of the storms. Only meant as a temporary measure and built to last approximately a year, three years on around 15,000 of these homes remain due to a lack of built and affordable housing. Not only a problem because these families, often with young children, do not have a permanent dwelling to call home, these trailer-properties are also at the centre of a growing public health concern. “Based on what we found and on scientific reports about health effects linked with formaldehyde exposure, CDC recommended that FEMA move residents of the Gulf Coast area displaced by Hurricanes Katrina and Rita out of travel trailers and mobile homes”. This is due to findings of average levels of formaldehyde in the trailers some four times higher than usual: readings of 77 ppb (parts per billion) compared to a normal home reading of 10-20 ppb, all of those studied having some readings that would have an effect on sensitive people and around 5% having levels of an extent to make a healthy adult ill. These results combined with government-set rules including a limit on formaldehyde releases for mobile homes but not trailers, has lead to a lawsuit being brought against both the trailer manufacturers and FEMA. Not only this but a recently released report by the Children’s Health Fund looking at the medical records of 261 children living in a Gulf Coast trailer park has found that 42% had been diagnosed with allergic rhinitis or upper respiratory infection and 24% had a cluster of upper respiratory, allergic and skin problems, thus adding to the case. It remains to be seen if Republican Henry Waxman is true to say that "no one was looking out for the interests of displaced families living in FEMA trailers," but in the meantime it is hard to ignore the evidence being put forward. However, in true juxtaposition to the findings relating to FEMA trailers, BusinessWeek has recently named Biloxi – home to high numbers of displaced families – as Mississippi’s best place to raise children. Based on various factors including affordability, safety, local parks and recreational facilities, being voted family-safe, the city is now is in need of safe and permanent homes for returning residents and those desperate to escape the temporary FEMA trailers. The building of new homes in the Mississippi area is increasingly more eco-focused as A-list celebrity and charity ambassador Brad Pitt has shown through his commitment to the building of 150 sustainable homes for the citizens of Lower 9th Ward in New Orleans through his Make it Right charity; he visited the neighbourhood on 2nd December where six families have moved into their new homes. This green-focus on rebuilding the Mississippi area is also being shown in Bayside Park, Biloxi where 75% recycled steel-framed homes are being built with energy efficiency in mind – water purification systems and the most energy efficient laundry systems that eliminate the need for hot water within wash cycles for example. 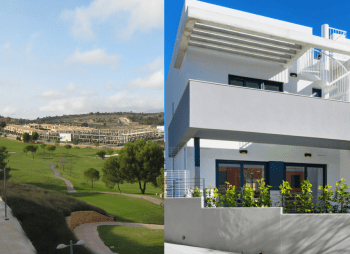 Foreign investment in these permanent homes is being encouraged, and properties for rent to the local community can be purchased from as little as £88,000 / $159,900. For more information on investing in Bayside Park please contact Property Direct America on 0207 043 0792 or visit www.propertydirectamerica.com. 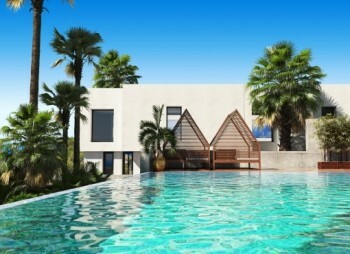 The US is still a great draw for Brits looking to invest in property overseas, according to overseas property investment portal www.themovechannel.com. The site releases a ‘Top of the Props’ poll monthly based on the number of enquiries on the website for different countries and it was found that in October 2008 the US held the top spot, ahead of popular destinations including Portugal and Italy, and this for a second successive month. As themovechannel.com have shown, the US continues to be a popular choice with Britons looking to buy both holiday homes and investment properties overseas and this was confirmed further still by the release of the National Association of Realtors’ (NAR) Profile of International Home Buying Activity 2008. From surveying 4,000 US realtors, this report showed that buyers from the UK accounted for 12.5% of foreign buyers in the country, ranking in second place only to bordering Canada. The run-up to the new presidency and the optimism generated in response to Obama’s election campaign could have been one reason for this popularity but the high rental potential of certain areas of the US is also a great appeal to those looking to buy overseas, especially for investment. And according to Lawrence Yun, Chief Economist for the National Association of Realtors (NAR), the US’ popularity with foreign buyers is set to continue for the foreseeable future. He estimates that within the next 10 years the number of foreign purchasers buying on American shores may well double to make up 6% of all US property purchases. One such project is Bayside Park in Biloxi, where steel framed, energy-efficient homes are available from as little as £88,000 / $159,900 with attractive rental returns. Excellent 90% loan to value mortgages are also available (subject to status) and for more information on joining the growing number of Britons investing in the US property market, contact Property Direct America on 0207 043 0792 or visit www.propertydirectamerica.com. Will President-elect Obama mean all change for the US housing market? With Barak Obama celebrating his victory as the 44th President-elect of the United States, it has been announced that the US remains the most popular choice for Brits when buying an investment property abroad, according to data from themovechannel.com. The overseas property investment portal ranked the US top in their latest ‘Top of the Props’ poll for September 2008, ahead of both Portugal and the UAE. This could be due to a number of factors, the high rental potential of many properties in the country and the weakening of the dollar against the pound to name but two. And this is not the only good news to befall the country of late. The Commerce Department has also announced that September 2008 saw the sale of new homes in the US rise by 2.7% on average when compared to August 2008 figures. With the dawn of a new presidential era in the US it will be interesting to see, once the initial hysteria has died down, whether these positive statistics remain. With a new president, and a new-found confidence, the dollar is known to ‘bounce’ or strengthen for a short period (a show of consumer confidence), but once this initial euphoria has relinquished, what is the effect that Obama will have on the US housing market or this confidence in the long term? Barak Obama’s pre-election policies distinctly showed a view to realistically turning around the housing market, with guidelines for simplifying the mortgage procedure including a universal mortgage credit as well as his clear policy on fraudulent mortgage providers – close down the loopholes exploited and encourage industry insiders to report any suspicious activity. And with the government playing a larger role in the nation’s property industry, hopes are high for the stabilisation of the market, with 58% of Americans having been reported as thinking pre-election that Barak would do a better job with the country’s property market than McCain, according to a survey carried out by Harris Interactive on behalf of Zillow.com. The southern US is one region that presents opportunity for positive investment with recent figures showing that new home sales rose by around 1% in September (according to the National Association of Realtors) and with excellent mortgages also on offer. One such project proving attractive to foreign investors is Bayside Park in Biloxi, Mississippi. Here, Brits can invest in steel framed energy-efficient homes in high demand by the local population with 90% loan to value mortgages available (subject to status), from as little as £88,000/ $159,900. For more information contact Property Direct America on 0207 043 0792 or visit www.propertydirectamerica.com. Will the new President bring change to America and the housing market? Without knowing who the next President is yet it is hard to say what effects there will be, but with the US elections finally taking place on Tuesday 4th November, it is a potentially pivotal and exciting time for the USA. Our property experts are on hand to offer you insight into possible effects on the property market post-election. If you are looking for comment on the US real estate market both nationally as well as regionally (North Carolina, Mississippi and Florida) then please do get in touch. The Mississippi State Port Authority has announce the go-ahead of a $1.6 billion plan to expand the local Port of Gulfport to become one of the largest container ports in the US. This plan is expected to elevate the port a further 15 feet to a height of 25 feet above sea level and also encompass the construction of a new port to the south of the current site, reached by an raised bridge, meaning that a large portion of the area can be converted into a promenade, with restaurants and shopping facilities. Having an undeniable effect on the local community, before the final decision was made the proposed port expansion was opened up for public scrutiny, with the Mississippi Development Authority and the port authorities holding various public meetings, backed up by a website which asked for public input on the plans. As Port Executive Director Don Allee explains, eventually the plans were finalized, “I think that adopting this particular master plan reflects that we did pay a considerable amount of attention to the community". Following the destruction of the current port by Hurricane Katrina in 2005 and with the Mississippi Development Authority announcing that the expansion will create around 6,000 jobs initially, it is easy to see why Gulfport Mayor Brent Warr has claimed that this is “a new beginning… it´s about the biggest thing that´s happened in this city in last 100 years." Not only this but Haley Barbour, Governor of Mississippi has announced that this would be only the beginning for the new port, with Gulfport Mississippi eventually able to “employ thousands and thousands of people”. This exciting future expansion of the port is set to also have a knock-on effect on the area’s housing market, with rental properties already in relatively short supply. Gulf Coast Housing Director Gerald Blessey has previously announced that the region needs 25,000 new homes if they are to reach the levels of housing stock pre Hurricane Katrina and therefore this fact combined with the port expansion will mean that large numbers of local people will be in need of housing. 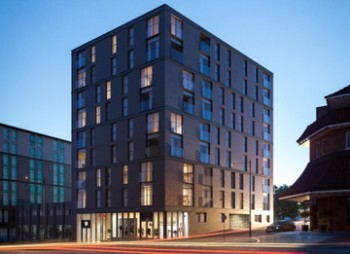 For more information on investing in Bayside Park, with prices from as little as £88,000/ $159,900, please contact Property Direct America on 0207 043 0792 or visit www.propertydirectamerica.com. According to Gozonegateway.com, “with more customers leaving Louisiana for Mississippi’s casino strip, this length of coast is expected to topple Atlantic City as the second largest gaming market in the US”, so if you were betting on a growth industry for the Mississippi it is bound to be casinos and gaming. Even before the hurricanes of 2005 that hit the area with force, Mississippi’s power in the gaming industry was on the rise and it is now determined to win the title Gozonegateway.com talks of. Mississippi is however spreading its bets with a more unexpected jackpot, golf, and the gamble is paying off. Often overshadowed by the bright lights of the casinos – Mississippi is now also emerging as a golfing hotspot. Mississippi’s temperatures are one great draw for golfers, with a semi-tropical climate that boasts warm, sunny weather for most of the year, good visibility and cool breezes that add to the challenge of a round in this southern region. Not only this but the draw of the casinos, along with local entertainment, white sanded beaches and an area history that includes the Mississippi Blues Trail, mean that Mississippi offers a rounded tourist experience for those visiting to play golf – and this is what state governor Haley Barbour, on visitMississippi.org, calls the “magic of Mississippi”. Of the 140 or more on offer, Mississippi’s golf courses themselves benefit from the region’s fertile soil, which makes for stunning established fairways, and many of the local courses are designed by top golf celebrities. One such example is the Grand Bear, Saucier, a course designed by golfing legend Jack Nicklaus and just a 30 minute drive from Biloxi’s casinos. Voted the ‘Best Public Course in Mississippi’ by Golfweek Magazine and one of Golf Digest’s “Top 40 Casino Courses” 2007, Grand Bear is a great draw for golfers who appreciate its rolling fairways and the surroundings of the DeSoto National Forest that edges the course. A golf course that exemplifies Mississippi’s regeneration following the hurricanes is The Bridges in Bay St Louis, designed by Arnold Palmer. A course that boasts 21 bridges and 17 lakes to its name, The Bridges found itself in 2005 also home to a stranded dolphin. Since it was rescued and released back into the wild, The Bridges has turned itself around and in 2007 was also named one of Golf Digest’s “Top 40 Casino Courses”. A newer golf course that is becoming popular with tourists is Fallen Oak, Biloxi – one of the winners of the GOLF Magazine’s 2007 “Top Ten New Courses You Can Play”. In its replanting of around 1,000 established trees to fit with the exacting design, Fallen Oak (designed by Tom Fazio) highlights the quality of courses in the area and proves that the attention to detail in Mississippi golf courses is second to none. With such high quality courses on offer, it is easy to see why the Mississippi tourism industry has so much potential. Recent figures from the Mississippi Development Authority have shown a 4.1% increase in estimated tourism employment on golf courses in the region from 2006 to 2007. This is being helped by local courses hosting top golf tournaments, such as the Adams Golf Pro Tour at the Windance Country Club in Gulfport and the Viking Classic at the Annadale Golf Club in Madison, as well as tournaments that tourists can take part in, such as Golf Week’s Biloxi Golf & Poker Tournament, an event that combines the area’s two favourite pastimes. Those looking to cash in on the growing success of the area can invest in Bayside Park, Hancock County, where 3 bedroom steel framed energy efficient homes can be purchased from as little as £88,000 with a 90% LTV mortgage available. Falling within the ‘Gulf Opportunity Zone’ (or ‘Go-Zone’) foreign investment is being actively encouraged as part of the regeneration and for more information contact Property Direct America on 0207 043 0792 or visit www.propertydirectamerica.com. The SRAP (Small Rental Assistance Program) set up by the US government to encourage foreign investment in property in the Mississippi region following the devastation of hurricanes Katrina and Rita in 2005 will soon be coming to an end – meaning the last chance for investors to secure the very best investment. Post-hurricanes, the US government recognised that they needed the help of investors from overseas to rebuild this successful region, with a great immediate demand for housing for those displaced and living in FEMA trailers. The setting up of SRAP meant that foreign investors could be incentivised not only with a 5 year forgivable loan which entitles them to interest free repayments with no penalties and within a staggered schedule, but also a $73,000 cash back when they commit to the scheme. The US government had allocated a set amount of money to this cash back scheme and it is this that will soon be coming to an end. This is therefore the best time to invest in the Go (Gulf Opportunity) Zone as there have been no announcements by the US government of the cash back scheme being reignited after this date. The scheme does have certain limitations that must be met, however, for example investors need to meet credit checks and criminal record checks as well as rents within the scheme being set within certain caps, but this is an excellent opportunity that not only helps local communities but also a firm investment choice for the overseas buyer. Although the cash back scheme will be ending shortly, 90% loan to value mortgages are still available as well as 50% Tax Depreciation from the Federal IRS (Internal Revenue Service), making this an excellent investment project. Prices in Bayside Park start at £88,000/ $159,900 and for more information on properties available as well as SRAP, please contact Property Direct America on 0207 043 0792 or visit www.propertydirectamerica.com. Three years on from one of the most devastating natural disasters in United States history and, according to the National Hurricane Center, the costliest hurricane to ever hit the US, the region severely hit by Hurricane Katrina is recovering and once again returning to prosperity. The latest data from Gulfport Biloxi Airport located in the Mississippi Delta which was affected by the hurricane of 2005, show that numbers passing through the airport are increasing with 83,524 passengers using Gulfport Biloxi Airport in June 2008, up 2.6% on the 2007 figure of 81,428 according to flygpt.com. Well-situated to serve a diverse customer base of business, tourist and military personnel, Gulfport Biloxi Airport has even greater plans for the future with a major €51 million expansion project set to complete later this year. This expansion will increase the airport’s square footage by 80% and allow a further two airlines to use the airport, in turn increasing passenger handling capabilities. Not only this but the regeneration and further expansion of the area’s famous casinos, now that a new ruling has allowed them to be built on land, means that the number of people relocating to the region for the newly generated jobs is likely to increase, subsequently growing Gulfport Biloxi Airport passenger figures further as well as the need for accommodation. And it is not only the airport that is set for expansion. The local port in Gulfport has also been highlighted for growth, with the Mississippi State Port Authority proposing development that would expand the current port to five times its size. This growth, also taking in new road and rail developments and retail projects, could take up to ten years to complete but in the words of Mayor Brent Warr, is an “unbelievable opportunity”. One example of such a real estate investment project is in Biloxi itself: Bayside Park is a new development attracting overseas investors who see the potential for capital gains. 90% loan to value mortgages are available as well as excellent financial and tax incentives being offered with government support. This means that foreign investors can invest in sturdy and energy efficient homes from as little as £88,000/ $159,900. For more information please contact Property Direct America on 0207 043 0792 or visit www.propertydirectamerica.com. Housingpredictor.com, a site that provides independent real estate market forecasts in the US, has put Biloxi, Mississippi in poll position when it comes to the Hottest Buyers Markets 2008. The city was ranked top out of 250 markets across the 50 US states, with its growth in house prices predicted at 4.9% for the current year. According to the site, this ranks Biloxi highest of ‘regional economies that are healthy and have strong potential for being exceptionally prosperous through the end of the year’ and is therefore excellent news for property investors. Following the severe hurricanes that hit the region in 2005, Biloxi needed a complete regeneration programme to be put in place, as Biloxi spokesman Vincent Creel highlighted “We lost 6,000 homes and businesses. That’s a fourth of our stock” and this has meant that in turn foreign investment has been encouraged. Government initiatives and tax incentives have allowed foreigners to see the projects designed to recover the area as solid investments, with excellent benefits both financially and morally, and these recent figures have only confirmed this. Not only is the demand for housing still incredibly high due to the displacement caused by Katrina and Rita – with Haley Barbour, governor for Mississippi pointing out that the region needs at least 100,000 affordable homes immediately and 300,000 within the next three to five years – but the planned regeneration of the region to become, once again, the second largest centre for casinos in the US means that more and more people will need homes to rent in the future. “We have already seen a growth in the values of our homes this year and within the context of the regeneration of the area it is easy to see why Bayside Park is a good investment for overseas buyers. Not only this but government initiatives as part of the Gulf Opportunity Zone mean that investors have access to LTV mortgages of up to 90% as well as tax breaks that make this an even better investment chance”. For more information on investing in Bayside Park, please contact Property Direct America on 0207 043 0792 or visit www.propertydirectamerica.com.